In 1456, Raja Kasim assumed the throne of Melaka after the murder of his half-brother Raja Ibrahim. This was a momentous turning point in Melaka history - a real palace revolution. The son of a Sumatran princess who took a Hinduised title was murdered and replaced by his Muslim half brother, the son of a Tamil common woman. His Tamil Muslim uncle Tun Ali Sri Nara diraja was made Bendahara after the Malay Bendahara Sriwa Raja poisoned himself - either in fear that he was no longer trusted by the ruler or in anguish at the growing power of the New Guard. Raja Kasim adopted the title Sultan and called hinself Muzaffar Shah. The small city state was now to become Sultanate and Empire. Sultan Muzaffar Shah married the daughter of the dead Bendahara Sriwa Raja, Tun Kudu. This was a shrewd move, for Tun Kudu's brother was Tun Perak - a man deeply respected by the Sultan's Malay subjects and a man he knew had the charisma, ability and courage to build his Empire. To avoid unrest and civil war, Muzaffar attempted to oust his tamil Bendahara and replace him with Tun Perak. 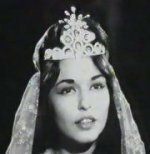 Tun Ali had a heavy price for resignation - he wanted the Sultan's wife, Tun Kudu, in marriage. Tun Kudu made the ultimate sacrifice, divorced the Sultan and her brother was free to shape Melaka history for the next 40 years and serve as Bendahara under four Sultans. Melaka very quickly mounted a series of military campaigns that won her Manjong, Selangor and Batu Pahat. 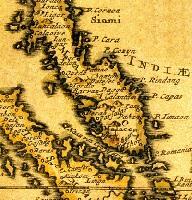 Kampar and Indragiri in Sumatra were soon to become loyal vassals as well. Melaka's expanding power rattled its much larger and more powerful Thai neighbours, who insisted Melaka belonged to its vassal Kedah. The Thais launched massive attacks against the Malay upsturbs - won overland from its vassal State Pahang in 1445 and another by Sea in 1456. Both attacks were beaten back. n 1459, Muzaffar's son, Raja Abdullah, succeeded his father and assumed the title of Sultan Mansur Shah. He wanted to settle the Thai problem once and for all and lau nched two attacked against the two Thai States of Kedah and Pahang. Kedah fell quickly and he sent an expedition of over 200 ships against Pahang. The Governor of Pahang, Maharaja Dewa Sura was captured and his daughter taken captive to Melaka to become Mansur Shah's concubine. It was during Mansur Shah's reign that Hang Tuah, the ultimate Malay hero and symbol of honour, courage and loyalty was made Laksamana or Admiral. Other States quickly fell in battle or become vassals - Johor and Muar in the Peninsular, Jambi, Siak and (briefly) Pasai in Sumatra. Like its Sri Vijayan predecessor, Melaka now firmly ruled much of the two coasts, guarding the vital Straits. Mansur Shah's reign was the peak of Melaka's meteoric rise to Empire and became the golden age of Malay folklore and culture. It was recorded that by this time, Melaka alone, had 40,000 inhabitants, including almost all the known races in the world. In 1477, Mansur Shah died and his son Raja Hassan ( and a nephew of Tun Perak) became Sultan Alauddin Riayat Shah. He mysteriously died in the prime of his life 11 years later, supposedly poisoned just as he was about to leave for pilgrimage to Mekah. We are now seeing a revival of the Tamil Muslim revolution - with the Temenggung Tun Mutahir, the son of the old former Bendahara Tun Ali, being the chief architect. Sultan Alauddin's elder son and the rightful heir Munawar Shah was passed over for his younger half brother, Mahmud, the son of the Temenggong's own sister. The grand old man of Melaka, Tun Perak, died in 1498, to be succeeded by his brother Tun Puteh. When he died shortly after, Tun Mutahir achieved the victory he desired and became Bendahara - the real power in Melaka. Melaka's State continued to flourish but the court was now thronged and dominated by Tamil merchants, ready to buy their way to royal favour. Thier monopoly in trade made them despised by other traders and the Malay chiefs and common people hated the arrogant and greedy "Jawi Pekan" strutting like rulers. Then, on September 1st, 1509, a Portugese fleet under Admiral Diego Lopez De Sequeira sailed into Melaka harbour - the first European fleet to have ever dropped anchor into Malay waters. That moment was to become a dramatic crossroads in the history of the Malay Peninsular and, ultimately, the fate of all eastern Asia. Loyalty to king or to friend?